Uber, the world’s largest ridesharing app that connects riders with drivers to provide convenient, reliable and affordable rides at the push of a button, today announced the launch of the ‘Driver Compliments’ feature. 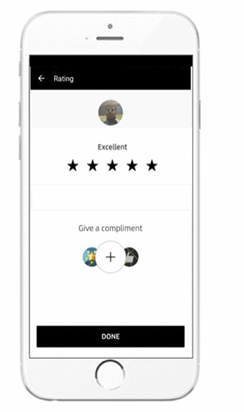 Through this feature Uber aims to make it possible for riders to positively reinforce good behaviour and in the process humanize the relationship between the riders and driver partners. “Last month, we launched community guidelines with the objective of encouraging mutual respect, and we are now excited to introduce ‘Compliments’. Our driver partners deliver millions of safe rides everyday and in many instances go beyond their call of duty. We hope our riders take a moment to express their appreciation by using this feature. It will encourage our driver partners to do even better!,” said Pradeep Parameswaran, Head, Central Operation, Uber India. Once a rider leaves a compliment, drivers will get a notification in app, taking them to the message and the compliments badge they’ve collected - whether that’s for expert navigation, great music choice or excellent service - because sometimes the little things make all the difference, and 5 stars are not enough.